​With the ominous Common Core math tests just a few days away in New York and other states, educators have begun to intensify their efforts to help students to solve "word problems--the bane of students and teachers alike. For the last several years, declining test scores have been blamed on these types of problems because they require reasoning as well as arithmetical skill. Why are "word problems" so disconcerting? To put it simply: the problem with "word problems" is the words. Students with poor reading skills--but sometimes competent math skills-- inevitably have great difficulty with "word problems" because they cannot decode the syntax in which the problems are presented. Here's where grammar (the study of the order and function of words and word groups in sentences) can come to the rescue. For the key question in reading comprehension and, therefore, in analyzing and interpreting math word problems is "What is the sentence saying?" Indeed, both confusion and comprehension begin on the sentence level. Students unfamiliar with the parts of speech and their relationships within sentences will struggle with complex sentence structure and use most of their time and working memory trying to figure out what the sentence is saying instead of seeking to solve the problem itself. By the time they get to the end of the words in the problem, they might still have very little idea about the solutions they are being asked to find and the methodology they are being asked to employ. Wouldn't it be a great idea, then, for all schools to teach grammar systematically and sequentially from kindergarten through high school? Grammatical analysis would help students in every subject, for all subjects require reading. Reading comprehension begins with sentence comprehension, and to understand the whole sentence, students must learn to analyze its parts. Students must know what the words mean and how the words have been arranged to create meaning. This is why the parts of speech are so important. They are integral to understanding each sentence and how each sentence is related to other sentences in larger units such as paragraphs and essays. Put simply, if students do not understand the parts, how can we expect them to understand the whole of anything--including math? "Word problems" would no longer be a problem if students understood the words in the problem. What we are doing with our own children this summer, and how our strategy may help you to grow your own children’s intelligence. My son Seth--who is 12 years old--will be starting high school in the fall. He is beginning the ninth grade in September at one of New York's finest and most prestigious independent schools. And, according to his most recent Lexile Measurement, he is now reading at the level of a first-year college student. Above and beyond all of this, he loves God, honors his parents, and respects his peers. But none of this surprises us: we have cultivated, shared, and watched his intense dedication to reading, discipline, diligence, and extreme levels of self-sacrifice. We know that God has blessed his efforts—and ours as parents. His personal goals this summer are to draw closer to God by reading his Bible more, to improve his reading level by at least another 100 points, to get better at tennis, and to enjoy a cross-country family vacation. Why am I telling you this? Obviously, I'm very proud of my son, but this is not the time to boast. I am sharing this with you because I love your children like you would love mine, and I have a God-given and a God-driven passion, vision, and mission to help your children become all that God has appointed and anointed them to be. I want to give them what I have given mine. I'm also sharing this with you because I believe that his accomplishments come from extreme dedication and self-sacrificial hard work. We have never allowed him to take one single summer off from learning since he was five years old. Certainly, we have enrolled him in half-day camps, tennis camps, and swimming camps, and we have allowed him to game and run with a variety of wonderful friends. Seth also volunteers in his community and has joined his school's tennis team. Needless to say, he is extremely well rounded. Yet despite our desire to see him engaged in extracurricular activities, his academics have always come first. Seth has never stopped learning. During the summer, he reads consistently and voraciously. He studies math for the next grade. He studies grammar and vocabulary on a daily systematic basis. And we have interwoven all of this learning into simply two or three hours of his day each summer. So Seth has fun and gets some serious learning done. This approach over several years has resulted in the excellence he's achieving, and I believe that this same approach can benefit your children also. By next week, my wife and I are going to do what we’ve done every year since he started formal schooling: we are going to meet with the teachers that he will be having in September. And we will be asking each of them to submit a syllabus and a scope and sequence that delineates what Seth will be learning and how he will be assessed. Though his average is almost perfect--3.99--we are not satisfied. We want him to learn more, to become more, and to strengthen any weakness he has. But we also want him to enjoy the summer. So we're going to give him two weeks off completely. Then we will enroll him in a variety of activities and allow him to simply "hang out" with friends. But in the midst of all of that, we've set a systematic schedule for serious learning. Every day--no matter what else he does-- Seth will rise at a certain time and go to bed at a certain time. Then in the morning or afternoon, he will study grammar, vocabulary, and high school math. We know his potential, and we believe that learning does not end in June. Summer should be a time for instructive reading, constructive learning, and reconstructing important structural foundations for excellence in reading, writing, and arithmetic. 1. Help your children to develop a reading list that will inform and sharpen their minds. They should read the great classics that help them to understand the psychology of humanity. As importantly, substantive reading helps your children to encounter complex texts and difficult sentence structure with vocabulary words that occur infrequently. You want your children to learn more words and more ways to understand and to decode difficult complex textual material. Yet, reading for fun is also important, so you should select books that your kids will enjoy just because they're humorous, adventurous, and entertaining. 2. All students should study sentence structure and word structure on a daily basis in a disciplined, systematic manner. They should spend at least 30 minutes each day studying grammar, and the roots, prefixes, and suffixes that form most of the words they will encounter in reading as they advance to different grade levels. Analytical thinking, when applied to grammar and vocabulary, makes your children smarter. It cultivates their critical thinking powers and helps them to become more intelligent sentence by sentence. books that I personally recommend by grade level. Don't make your summer list too long and too ambitious. Deep reading of one or two great works is far superior to having your children try to read 10 books rapidly without understanding any of them. At the top of my list has been, is now, and will always be the Bible. Your children should learn the great stories in the Bible. Why? Is this to make them more religious? Absolutely not. The Bible, like no other book in history, undergirds nearly all of the systems of knowledge in our civilization. If you want your kids to understand the history, art, music, literature, and political structures that are part of the civilization and nation in which they live, then they need to read the Bible. What should they read in the Bible? I believe that every child should have a daily dose of Proverbs. The Book of Proverbs written by Solomon consists of short, brilliant, wise sayings that act like vitamins in your children's hearts and mind. I like to say it this way: "A proverb a day helps keep ignorance and immorality away." Children should also read the great stories of the Bible. And you should read the stories with them if they can't read by themselves. Every child should know about the creation account in the book of Genesis. Every child should know the story of Moses. Every child should know about Joseph. Every child should know about Abraham. Every child should know about Noah and the flood. Every child should know about David and Goliath. And every child should know but The Christmas story which begins in the Old Testament and emerges in the New Testament with the coming of Jesus the Christ. The old and new Testaments of the Bible are the basis for the greatest thoughts and minds in history. If you want your children to become wise, beautiful, brilliant, and godly then let them read the Bible. So after a daily regimen of Bible reading (about 15 minutes or so), I would recommend that your children begin reading a book that is both at their grade level and a little bit beyond. Actually, you should try to get your children's actual reading level based on the Lexile Measurement system. There are many measurements of reading levels, but I personally prefer the Lexile system. This is a system that gives you better insight into your child's actual Reading level and can be matched to his or her grade levels. If you would like to know more about finding out your children's Lexile Reading Levels, contact us at ScholarSkills, and we will show you how to measure your child's reading level. This is important because you want them to read books that stretch their minds but don't frustrate their abilities. And you also want to set small, measurable goals for improving their reading level as time progresses. Finally, you should make sure that your children have learned what they needed to have learned in the grade level that they're now completing, and you should look ahead to see what they need to learn in the grade level that they will be commencing August or September. This requires time, dedication, and sacrifice on your part. But again, I'm only writing for serious parents. If you would like to learn more about what the types of reading comprehension skills your child should have learned this year, and what your child is going to be learning in the next grade level, click on the links below for a grade by grade breakdown of the learning objectives for each grade level. Now this is not a perfect system, and children will often fall into ranges, but you should have some sort of measurement to know whether your children have learned what they should have learned, and you should also know what your children will be learning when they go back to school. In this way, you can help them to get out of bed and get ahead. Here are some of the examples of the books that my children have read, and here is the curriculum and method we have used as parents over the years. Yes, my wife and I are educators, but we have never left the education of our children up to people we did not know. We homeschooled them, built a school around them, and when we finally placed them into schools that were run by others, we constantly surveyed their work and kept teaching them at home. Remember you are the first and biggest difference in growing your children's intelligence. This summer we are teaching grammar, vocabulary, syntactic analysis, morphological skills, and mathematical reasoning skills in a highly selective program. Parents must apply no later than June 15th. Our summer program begins on July 7th and ends on August 18th. Students will attend two to four hours each week on Tuesday, Thursday, and/or Saturday. We will be open from 2-7 during the week, and from 10-2 on Saturdays. 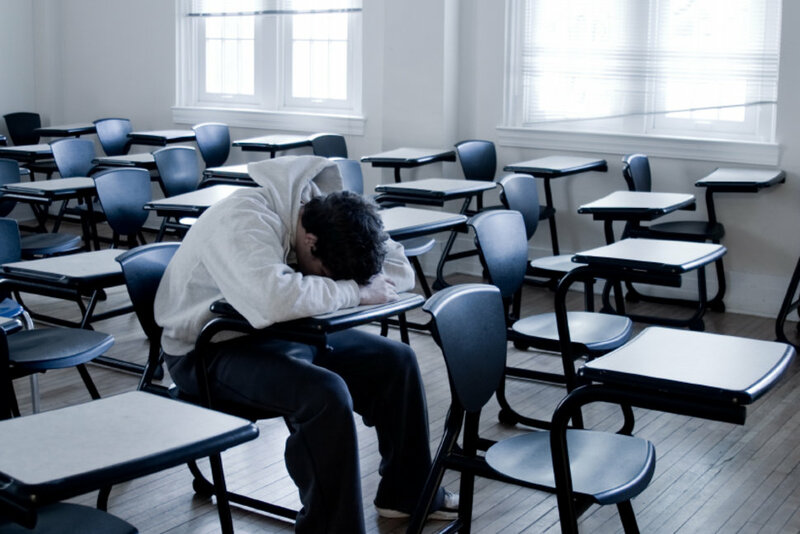 Despite all the testing, test preparation, new teaching methodologies, and classroom technologies, students continue to fail at an alarming rate. Why? Reasons abound--some more complex than others. But there is at least one simple reason: Students have a difficult time mastering the so called 3R’s (Reading, Writing, and Arithmetic) in a classroom environment because they haven’t learned the real 3R’s (Respect, Responsibility, and Routine) at home. Students who have no respect for their parents will have none for their teachers. If children don’t listen at home, they will not listen at school. Disrespectful students disrupt classrooms, making it impossible for teachers to teach and other kids to learn. Students who refuse to accept responsibility for their actions will make excuses and blame everyone and everything for their failures to hand in homework or complete class assignments. “It’s not my fault...” means that it’s someone else’s fault–usually the school’s or teacher’s. These “excuse-students” don't change their negative habits because they see themselves as victims. Worse, they become increasingly angry and resentful towards anyone who insists that they take responsibility for their self-destructive behavior. Students without an established routine at home lack the internal disciplines and external structures essential for success in any endeavor. They eat dinner when they want to, watch television when they choose to, chat with whomever they wish on twitter and Facebook, go to bed (if at all) when they so desire, and wake up when they are ready. How then can they put in the hours of isolated deliberate practice that are necessary for achievement? Undisciplined students have undisciplined minds which leads to inattentiveness in class. What must be done? Parents must teach their children the 3R’s at home so that they can learn the 3R’s at school. Teachers can only teach and children can only learn when respect, responsibility, and routine are present both in the living room and the classroom. Nothing else works. Tests, teaching styles, and technologies have no effect unless students have been prepared at home to learn in school. That truth is the proverbial pink elephant in the room that no one wants to talk about, and the problem that no amount of money or innovation can fix. Parents are the first teachers, and the home is the first school. The hearth is where the heart is shaped and the mind prepared for learning. Parents should take a no nonsense approach to the 3R’s of respect, responsibility, and routine. They should hold their children to the highest standards with a balance of rigid rules and tender love. Kids should learn to listen. Dress codes should be firmly established according to common sense and natural rules of civility. Behinds and bosoms should not be bared on buses. Mouths should be cleansed of bad breath and from dirty words. Kids should not be allowed to fritter away their time on twitter. Parents should know their children’s friends by face and not by Facebook. Ipads, texting, and everything else that distracts should be removed periodically so that children can learn to focus on learning through reading and language instead of videos and images. I know that this sounds revolutionary (or archaic). But good revolutions (including the one that created this nation) begin with common sense. Common sense and civility are what parents learned from their parents and what children so desperately need to learn today. It’s time to bring an “old school” attitude to the new year. Recently, I was working with a precocious elementary student whose parents (and teachers) were having an impossibly difficult time getting him to read and to answer reading comprehension questions accurately. So after I tried—and failed— to elicit any positive response to his assigned reading for homework, I asked him why he had such a hard time reading and responding to such relatively simple passages. Without even pausing to think about my question, he shot back: “I hate reading.” A bit surprised, I asked: “Why do you hate reading?” Again, he responded swiftly and angrily: “Because it’s stupid.” Now being an academic coach, my first instinct was to explain to him why he was wrong and to encourage him to give the passage another try. But as I thought about his answer—“Because it’s stupid”—I realized that he was right. Reading was stupid—at least the readings that he was being assigned by his teachers. This brilliant young mind was being besieged and bored to death by inane stories with equally inane titles such as “Anna’s first barbecue” and “Rudy’s Rock Collection,” which had been quickly (or click-ly) gleaned from the latest internet reading comprehension worksheet program. These stories had no souls. There was nothing great or exciting about them. They existed simply for “teaching reading comprehension” as if the only purpose for reading was answering a series of multiple choice questions. Read this; answer that. Next! Rinse and repeat. These stories were as interesting—and as painful—as exploratory gum surgery. He had been read to death. This, unfortunately, is the insidious outcome of decades of “reading comprehension for test preparation.” Schools have suffocated the natural instinct and desire that kids have for reading. Kids are curious: they’re born that way. Reading—and enjoying what they read—is a natural expression of their congenital curiosity. Only schools—filled with well meaning but test-pressured teachers—and homes—filled with frustrated, compliant parents—could turn reading from a delicious treat into dry, tasteless meat. What are we to do? How can we help our kids to rediscover their joy for reading? It’s not that complicated: find out what they are curious about and then provide substantive, age-appropriate texts for them to explore and learn about what is already stimulating their minds. Then, do what we should have been doing all along: introduce them to the great stories. These are the exciting, richly written tales that teach morals and principles. They have existed for centuries and can be found in compendiums such as “The Book of Virtues.” There’s a reason why millions of parents have read and told these stories for over hundreds of generations: They are great, exciting, and enriching stories that are repositories for many of the values that we want our children to possess and pass on to their posterity. Beyond the riches that lie embedded in their exciting characters and plots, these stories also offer students substantive textual complexity that engages and expands their minds. Our kids become better—and smarter—while reading and retelling them. That’s right: retelling them. Storytelling is one of the best ways to get kids passionate about stories, and when we ask them to retell the story that we have read to them or that they have read to themselves, we are doing much more than simply fulfilling a testing standard. We are asking them to become storytellers, which is truly the world’s oldest art form. Storytelling excites and expands their imaginations. So parents should read stories to their children and ask their children to tell them a story about the stories that they have just heard or read. This request doesn’t have to come in contemporary test prep format: “Please write an extended response including details from each paragraph.” Ugh!!!! Just let them get excited once again. Let them discover heroes and heroines. Let them learn why responsibility is better than excuses. Let them learn why courage is better than cowardice. Let them enter faraway lands with exotic names and meet unforgettable characters who manage to create and solve some of life’s greatest problems. Let them read for enjoyment, and let them talk to you about what they have just read. But all of this advice is too simple in our day of complex methodologies. After all, there is no real criteria to “ascertain” the effectiveness of joyful reading on reading comprehension. And, in our age of test-centric teaching, what cannot be quantified must be disqualified. But perhaps a non-compliant parent or teacher somewhere might decide to buck this nonsensical trend and let kids experience the joy and passion of great stories once again, for reading is so much more than trying to get a “4” on the ELA Common Core. Should schools pay more attention to gifted students? Here's an excerpt from the NY TIMES article which argues that gifted students are being left behind. "With money tight at all levels of government, schools have focused on the average and below-average students who make up the bulk of their enrollments, not on the smaller number of students at the top. It is vital that students in the middle get increased attention, but when the brightest students are not challenged academically, they lose steam and check out. A pioneering study has followed a cohort of those extremely smart students for 25 years. It found that they have made outstanding contributions to advancing scientific and medical knowledge, earning tenured professorships, developing software, receiving patents, and serving in leadership positions in Fortune 500 companies and in technology, law and medicine." On October 19, 2016 thousands of brilliant high school juniors were unable to take one of the most important college-entry exams because the DOE refused to pay the $15.00 fee for their registrations as it had always done in the past. These students were left without recourse as their schools chose, therefore, NOT to order the exams for them. This has disproportionately affected minority, and low to middle-income students who were deprived of their right to compete on a state and national level for hundreds of thousands of dollars in scholarship money. It also deprived them of the right to prepare for the SAT which they will be taking in May or June of 2017. This has never before happened in the history of this great city. I am writing this article in the hopes that someone might be able to intervene on their behalf so that this grievance could be redressed and these students be given the same opportunities as other students had across the state and country. The PSAT is an extremely important test especially for juniors in high school. When juniors take this exam, they become eligible for national scholarships and other special opportunities that are made available for minorities and middle to low income students. The PSAT also is an integral part in preparing for the SAT. Students take the PSAT as sophomores and juniors, but the scholarships and other special opportunities are available only to juniors. The question begs: "Well, why couldn't the parents pay for the test themselves as other parents do across the state and country?" The answer is simple: even parents who wanted to pay for the test could not do so because the schools have an all or nothing policy. Schools have to close for the day so that a secure testing zone can be established within the school for any major exam. Principals who could not pay for the exam simply chose not to order it for any of their students because they would not close the entire school just for a few students who wanted to opt in. So the DOE's assertion that students had the option of paying for the test is at best disingenuous and at worst a bald-faced lie. Since there was no place to take the test, it did not matter if they wanted to pay for the test. So here in NYC, thousands of our brightest could not take the test that could offer them the best. This should not stand. If you are interested in helping me to redress this grievance, please show your concern by "liking" or "sharing" this article with others. I ask anyone who loves children and who believes in their potential to help me in this endeavor. Rev. Vieira is a former high school master teacher, and the founder and president of ScholarSkills Learning Center.